Liancarlo is one of the most talented designers in the bridal fashion industry, and Little White Dress Bridal Shop is honored to be the exclusive retailer of Liancarlo bridal gowns in Colorado - and one of the few boutiques in the country that Liancarlo designer Carlos Ramirez visits each year for trunk shows. Carlos Ramirez will be at Little White Dress January 23rd-25th, 2015, with his brand new collection of exquisite gowns. He absolutely loves helping each bride find the wedding dress that is just right for her individual style, and brides love the experience of meeting the creator of their own unique, impeccably made gown. Before this eagerly anticipated trunk show, we are sharing more about the designer and the very special care that is taken to create each and every beautiful gown. And while we're at it - a sneak peek of the stunning new collection that will be at Little White Dress January 23rd-25th. Appointments for this very popular trunk show fill up quick! Call 303-814-8972 today to reserve your appointment. Liancarlo is a Miami-based fashion house created in 2003 by designer Carlos Ramirez. Known for classic gowns of the highest quality fabrics and fit, Liancarlo creates both bridal wear and evening gowns that are sold in over 75 specialized boutiques and luxury department stores around the United States, Canada, and Mexico. Liancarlo wedding gowns have been featured in every major bridal magazine and are known for their timeless silhouettes and special details, such as intricate embroidery and French lace. A Liancarlo dress is stunning proof that classic does not mean boring. From metallic threadwork to blossom-dotted bodices inspired by his paintings, every piece shows that Carlos is equal parts designer and artist. Each MADE IN THE USA Liancarlo gown is sewn from start to finish by a single highly experienced seamstress to achieve the highest quality standards. 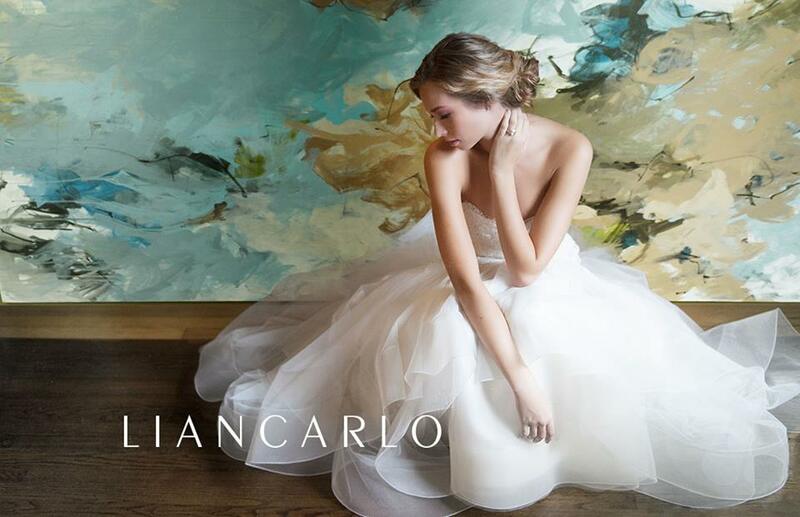 Meet Liancarlo designer Carlos Ramirez and find your own gorgeous Liancarlo wedding gown, January 23rd-25th at Little White Dress Bridal Shop, Denver's best bridal boutique! Call 303-814-8972 or visit our website to reserve your appointment. Highlights From Our First Galia Lahav Trunk Show! Joyful January at Little White Dress!